Notice anything new about Attentionology today? We hope you like the new expanded (and we think improved) site. It’s designed to be more user-friendly with more content, brighter images, FREE resources to download and new options…all with a commitment to serve as a valuable resource to you. Magical spring toys have been popular for decades! I saw a child playing with a toy spring recently and his actions prompted more creative thinking. Instead of setting up the toy spring vertically to topple over itself down a set of stairs, the boy was holding the spring as if it were an accordion (musical instrument), like you see me doing in my blog pic. Wow, I thought, what a great way to help kids visualize EXPANDED THINKING. Begin this activity by announcing that you’ve brought a surprise to school. 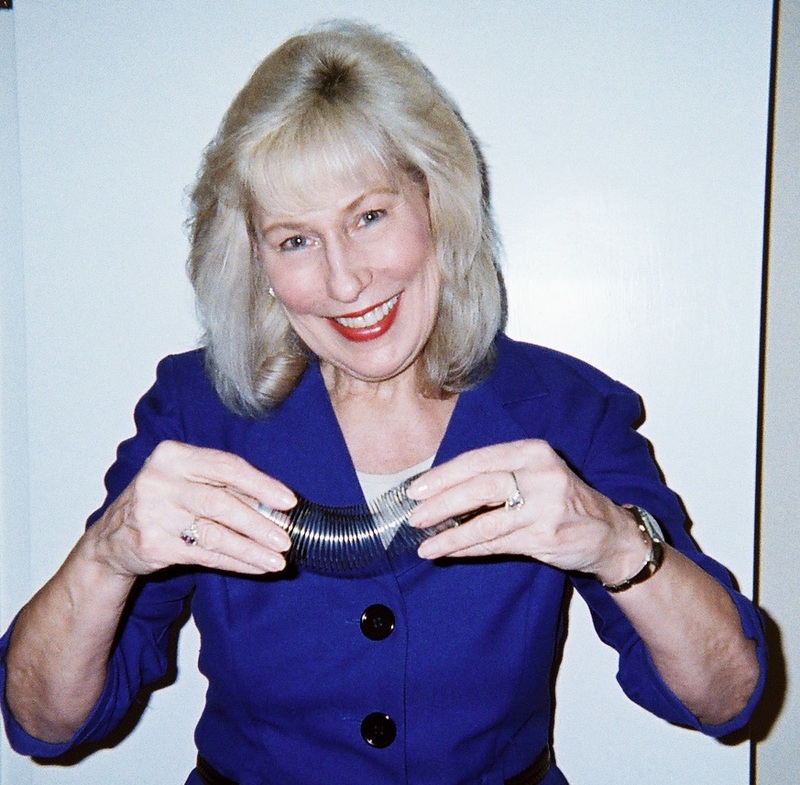 Hold up a magic spring with the coils closed at first, like you see in my blog pic here. Tell the class that the closed toy is like a mind at the beginning of a school term. It’s in place, but ready to expand with new learning, especially for students that stay focused and on task in class. When all eyes are on you, open the magic spring slowly, like you see in my blog pic below, and explain that the toy is expanding like a brain that is growing bigger, smarter, stronger, wiser. Walk around the room; let students take turns holding the magic coil closed and open. 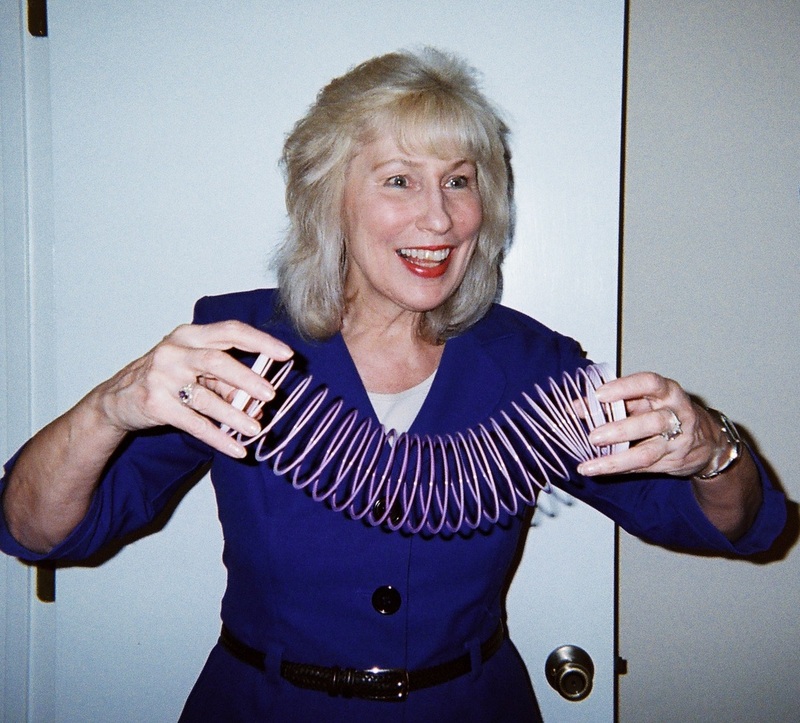 Invite everyone to hold up their hands together and mimic opening a closed coil to show how a mind can expand. Reinforce the connection between staying focused and on task to help expand thinking. Place small napkins with little seasonal treasures inside at each student’s place. Fun and attention-getting! A NAPKIN IN PLACE ISN’T JUST FOR BEING TIDY – When is a folded napkin a door into a season? When you hide small treasures inside it and invite children to unfold a season of fun. Look at my blog pic here. One shows a napkin with a rabbit design to symbolize spring. The other is for fall (and Halloween) in orange and black. This easy, attractive napkin trick requires a few small, inexpensive purchases ahead of implementation. 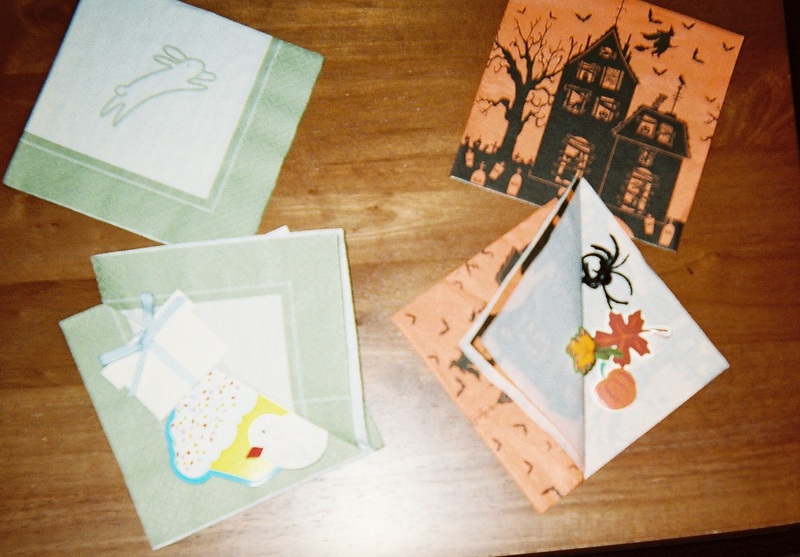 Before children come to class, zip around the room and “hide” a few seasonal treasures inside folded seasonal napkins – one on each student’s desk or table space. As students enter the room, invite them to “unfold the season.” They’ll be surprised and delighted, and happy to take your special gifts home! In any language of the world, wordplay catches attention because it entertains and informs. Select letter endings and other combinations that are part of your curriculum and challenge students to make up wordplay like I did with ing (i-n-g). THE SCIENCE OF WRITING – When is a science poster not just a science poster? When it’s also an illustration for a poem! A science poster can teach about a topic AND illustrate a science poem. A second grade teacher with whom I worked with last week was taking down science posters from a bulletin board outside her room as I was coming in to teach writing on Friday. I admired the students’ work and offered the idea that she could invite her class to expand the science poster project by writing poems about the subjects they’d chosen to explore. 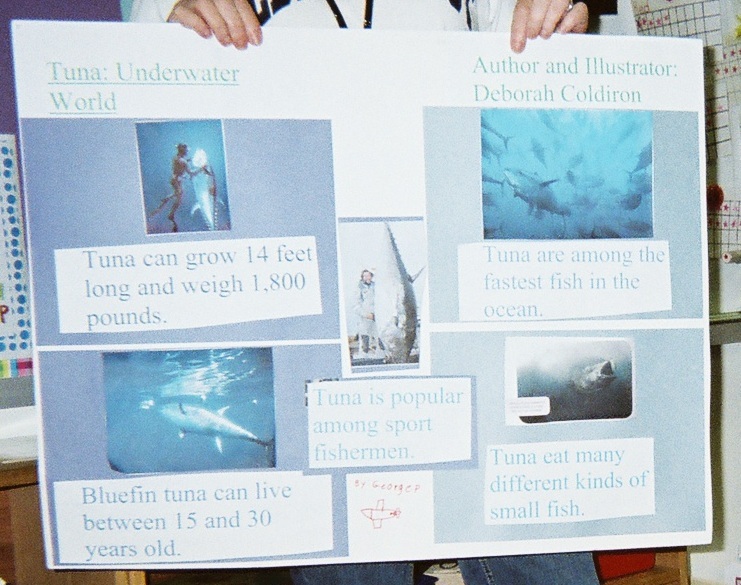 Linda Griggs, the teacher holding one student’s poster titled, “Tuna – Underwater World” in my blog pic here, liked the idea. We briefly introduced the option of writing science poster poems to the class when I took these blog pics. The one here is of the student showing his poster as he reads a poem (hidden from view on white notebook paper taped to the back of the poster). 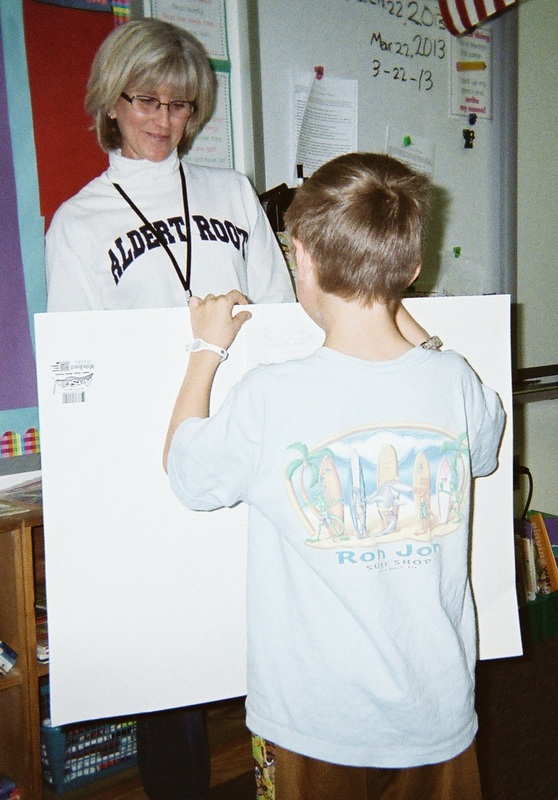 Connecting poetry writing to a wide array of subjects, including science, is another example of EXPANDED THINKING. A cool way to expand your thinking about ways to help students expand theirs is to browse around online, in bookstores teacher supply stores and toy stores with no particular search focus in mind. Listen for ideas to pop into your ears as you take in the visual feasts. Be bold, be brave with ideas that amaze! Attentionology is hoping to expand our reach with more readers worldwide. So, if you like the new site, please comment. Your response matters to us; your suggestions are welcome. Please update your bookmarks and follow us on Twitter @attentionology. We invite you to share Attentionology with your associates, friends and family – all who can benefit from what we offer. 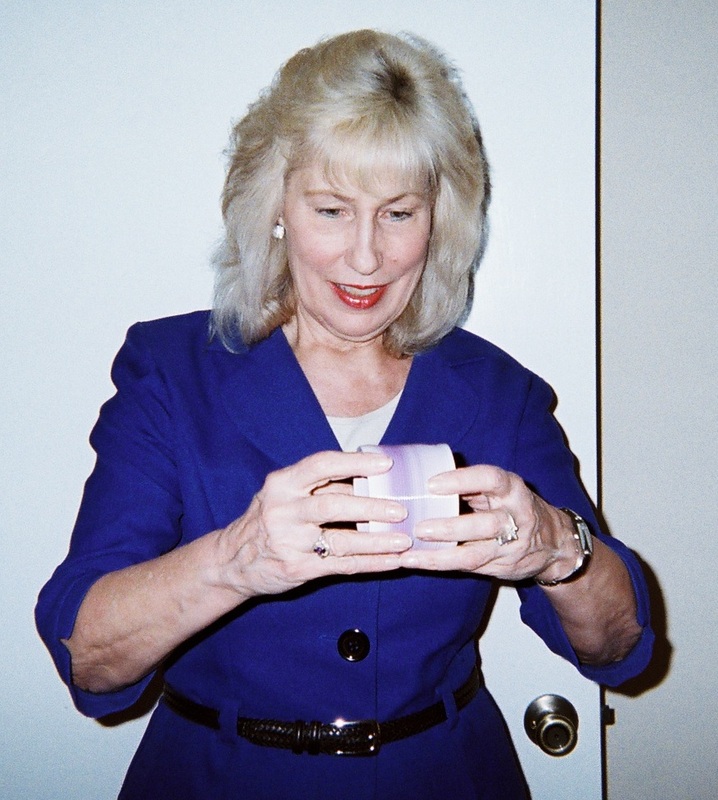 Let’s grow together and remember that you don’t need to be a magician to work magic in any instructional setting! 1 Pings/Trackbacks for "Expanded Thinking"